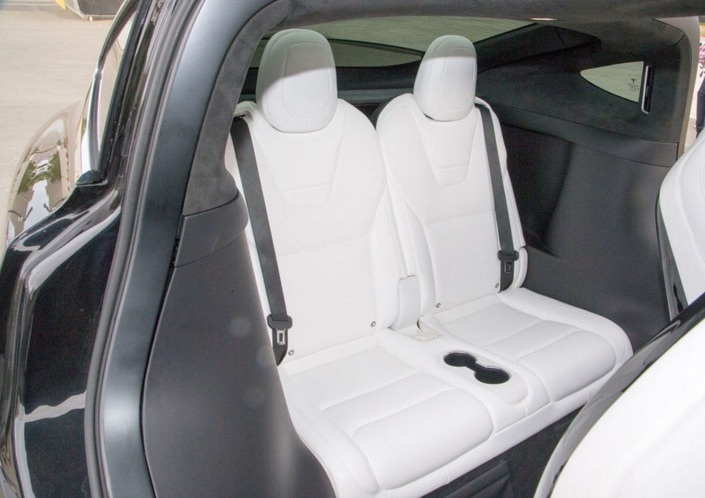 As reported earlier this month, Tesla issued a voluntary recall - as a precautionary measure - for all the Model X SUVs (2700 of them) made before March 26 because of a defective hinge in the rearmost of the three rows of seats could cause them to collapse in a collision. 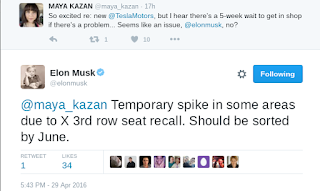 On Friday, Maya Kazan asked Elon Musk on twitter if rumours were true whether there is a five week wait to get into the shop in some American Tesla service locations due to the Model X third row recall. 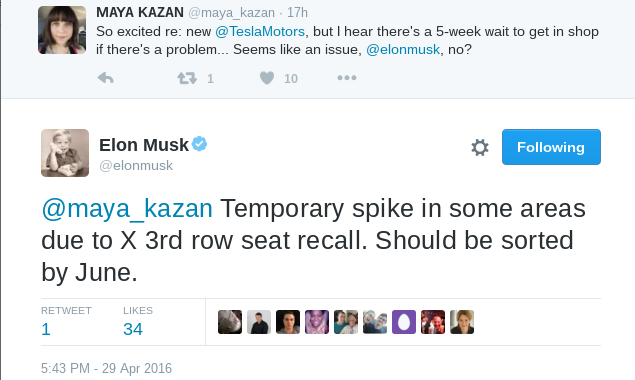 Elon confirmed that there is a spike in some areas and it will take up to June to sort it out. 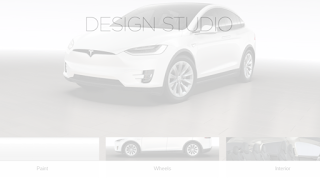 If you have experienced some out of the ordinary delays on your service at a U.S. Tesla Service center, let us know by leaving a comment below. Meanwhile, European and Canadian Model X potential customers can finally use Tesla's Design Studio on the Model X webpage to customize their car like their American neighbours last month. Prices in Euro and CAD for the optional configurations are similar to the ones in American Dollar taking into account the exchange rates.